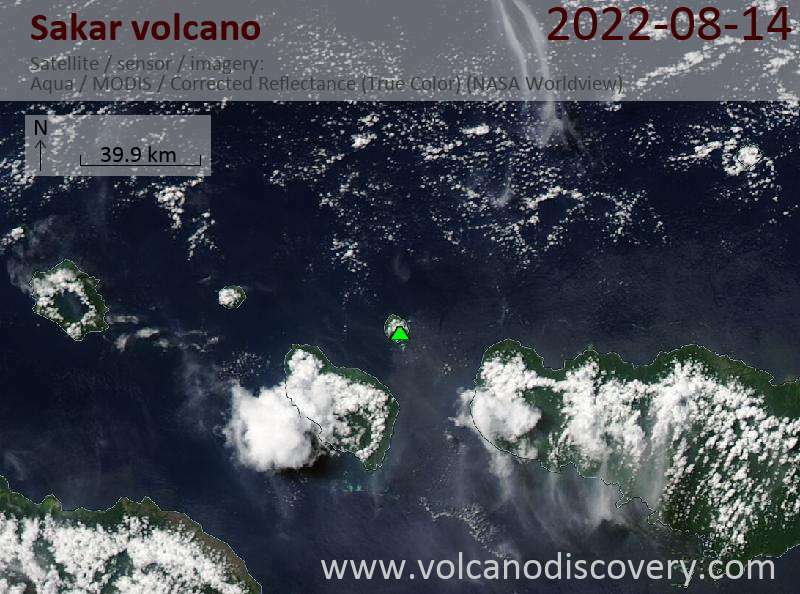 Sakar volcano forms the near circular 9.6 x 8 km Sakar Island 36 km west of Cape Gloucester on the west coast of New Britain, and 17.5 km NNE of Rooke Island. It is an andesitic stratovolcano with a 1.5 km wide summit crater containing a lake, and deeply cut flanks. The island is partially surrounded by a coral reef. There are no known historic eruptions from Sakar, but there are warm springs along the SW coast and possible fumaroles on the NW edge of the crater lake. A cinder cone on the southern flank could be of Holocene age. An older volcano forms much of Sakar island. It consists mainly of porphyritic basaltic rocks. The younger Sakar volcano proper has been constructed within the older volcano's larger crater, whose rim is exposed on the northern and eastern sides. Sakar Island has been affected by large debris avalanches. North of Sakar is a field of large debris blocks from an avalanche. The blocks are found out more than 10 km from the island and cover an area of approximately 30 km2. Some smaller avalanches have occurred in recent times. Wilfred Powell mentions an eruption of Sakar in his book "Wanderings in a Wild Country", but the local residents of Sakar island have no record of an eruption. "Based on analyses of satellite imagery, the Darwin VAAC reported that on 18 September a possible diffuse ash plume from Sakar rose to an altitude of 1.8 km (6,000 ft) a.s.l. and drifted 165 km NW. Four hours later images showed that the volcano was clear; the plume may have been smoke from a fire or steam. RVO was unable to confirm that an eruption had or had not occurred. 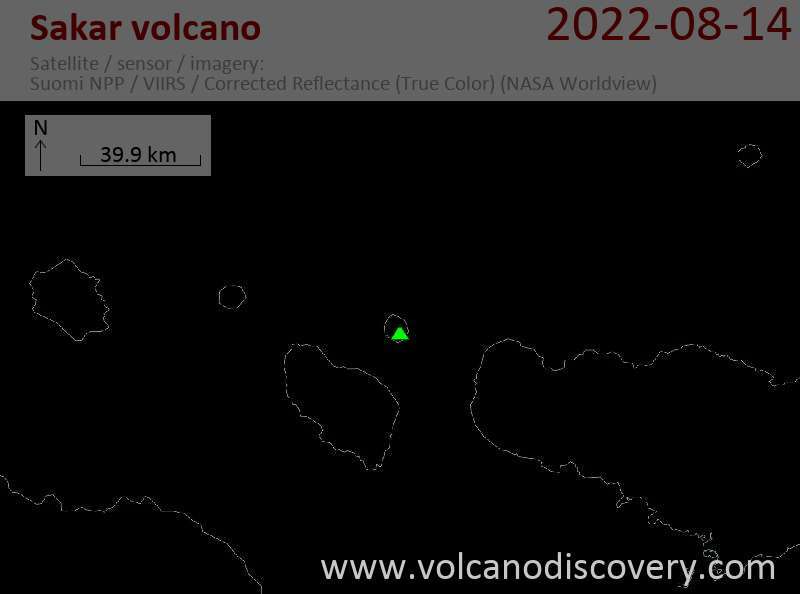 [Note: The Darwin VAAC later confirmed that an eruption did not occur.]"